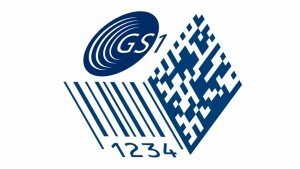 GS1 is a globally recognised identification system that is used in the supply chain through the use of the Global Trade Item Number (GTIN) standard. The GTIN standard is developed and maintained by the not-for-profit international GS1 organisation. We provide strategic consultancy on GS1 & PEPPOL Implementation in the NHS, GS1 management services and a PEPPOL access points (through our parent company cloudBuy). The same standardised code can then be used to compare similar products from other suppliers and aggregate overall usage. This code is the Track IT Master Data code (formally known as the - National Supply Vocabulary – NSV). Coding Internatioanl (CIL) provide expert information and service for procurement coding, classification and descriptions and manages the Track It Master Data database and ProClass websites. CIL can provide valuable help on getting the best from GS1 coding. We can also provide strategic consultancy on GS1 & PEPPOL Implementation in the NHS, GS1 management services.